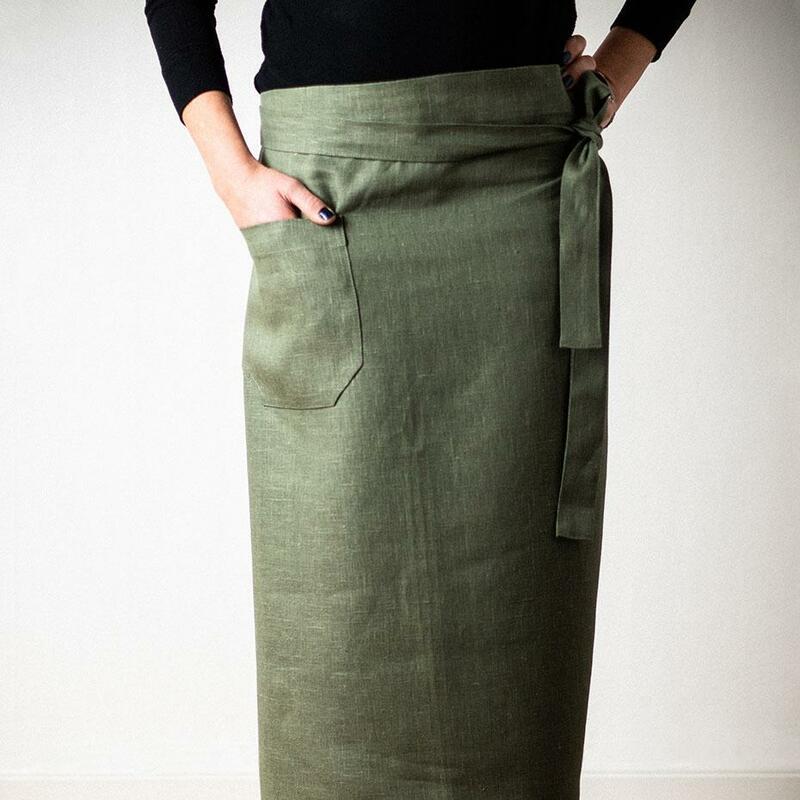 Timeless apron in pure linen with a pocket. Our linen collection contains aprons, tea towels, linen totes and wheat warmers. They come in 25 colours. The graphic collection also has cushions with appliqué. Beautiful and timeless products for you and your loved ones.